I'm trying to get caught up with the times. Who knew I had subscribers and followers? Thanks, everyone. Count me in...I love your blog. Ooooh!! I'm totally wanting the bag of cotton! I love the way cotton looks. Great giveaway! Congrats on your 100th post! Hi Melissa, I'm David's sister who lives in China. Your blog is great for me, I'm now buying all of my basics for myself and my 9 month old from Gap and Old Navy, when they have their great sales!!! Never clued into that before. Anyway thanks for the great tips and inspiration. LOVE your blog...that shower curtain would be PERFECTION in my master bath. I bought new bedding a few weeks ago (at Target), and silly me, did not go ahead and get that shower curtain. I looked at, moved on, went back and looked again, and did not buy it. fingers crossed! i love that shower curtain. Such a fun giveaway! Thank you. I just truly enjoy your blog. I'm always snooping around. Yes please! I've just found your blog recently and love it. I'm Kristin's nephew's wife (if that makes any sense at all). I love your tips and have now started shopping at Dollar Tree and have found some great things! Who knew? thanks! Yea!!! I LOVE it all. Both my boys have hand picked cotton here in my State because their friends' dad was scientist who worked for a Cotton Company. I've been following you (on your old Site)ever since I first started blogging. Your information is SO useful and appreciated. Thanks so much! Oooo! Oooo! Oooo! Love it ALL! Count me in! P.S. I love your site and all of your fabulous tips! Hi, I love your blog, visit it daily and I NEED NEED NEED that cotton! Truly, I have empty jar syndrome going on on my mantle, need the cotton to fix it! I sooo hope I win, take care and best wishes to all who have the same syndrome! Ohh what nice prizes. Pick me. A big thanks to you for your inspiring blog. Yay! I've only stepped foot in Texas once and just having the opportunity to win all this would be a real treat! Count me in as well! I love your blog! I'm coming out of "lurkdom" to tell you that I love your blog and check it daily!! 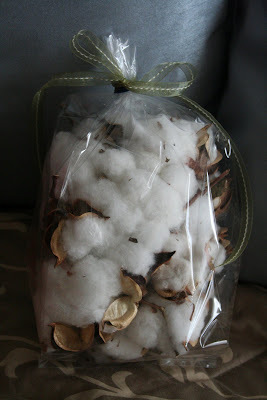 What a neat gift you giving for a giveaway (I love the cotton!!!). Congrats on hitting 100! I love your blog with all your stylish tips and tricks. I am doing my 100th post giveaway this week too. I feel lucky! CONGRATULATIONS!! I have loved loved loved your cotton ever since I saw your post about it! Thanks for all your fun ideas. I love your blog! You inspire me! What a fun give away! Thanks for blogging! Thanks so much for the giveaway (the cotton alone would have been great) and congratulations on your 100th. I'm still new to blogging with only 21 posts, but I'm going strong. I love your blog and have been following for a while. Thanks for all your tips!! Hi Melissa, Oh my goodness! I would LOVE to have that handpicked cotton - my grandma, who I miss so much, grew up on a cotton farm down south and used to tell us stories about she and her twin sister picking cotton. I love your blog, thanks for all you share! OMG! 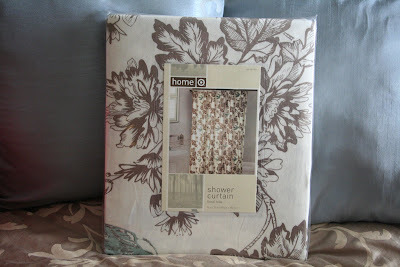 I have been wanting that shower curtain for one of my bathrooms that I am redoing! Count me in! That shower curtain is too cute! Oh I love the cotton, it reminds of home and the shower curtain is great! Congrats on your 100th post, keep it coming, I LOVE this blog. I am a friend of lacey Lenahans from SVU and she one time posted about you and I've been a follower ever since! What a GREAT giveaway!!! Congrat on your 100th post! That is awesome! I have really enjoyed checking in on your site! Thanks for all the inspiration that you give! I love your blog!! I would love it if you would enter me in your giveaway. :) My email is [email protected], and my blog is [email protected] Thanks for the chance to win!! there are lots of design and crafting blogs out there, but i love yours the best. you have the best style and personality! your posts make my day! Sooooo Fun! What a great giveaway :) Thank you for your generosity and the opportunity to win! I enjoy your witty posts! 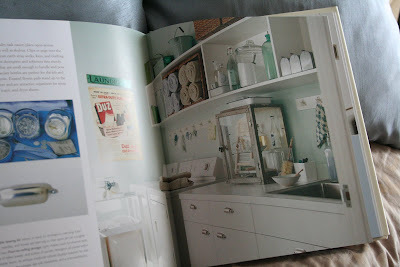 I just recently found your blog from the Nester, and love your ideas! I'd love a chance at the giveaway as well. Thanks! I love your blog! Its addicting! thanks so much for the giveaway and for letting me enter! I've recently stumbled upon your blog and LOVE it! Count me in for the giveaway! Your blog is such a nice place to visit and I love your music. Sometime I just leave your blog up to listen. 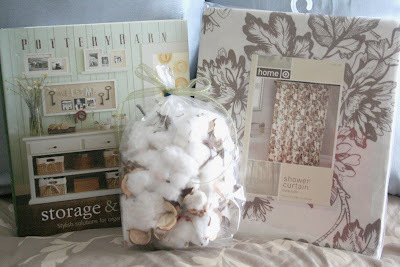 Your gifts are great-the cotton is certainly novel but I love, love, love the shower curtain. I love Target, too! I've enjoyed your blog from the 1st to the 100th. Thank you so much for your wonderful ideas and ideas. You're the best! Beautiful shower curtain! I found your blog through another blog, love all your crafty ideas. Your blog is such an inspiration! Count me in on this amazing giveaway! :) Happy 100th Post, Melissa!! Yay, happy 100th! I love your blog! Happy 100th! I love the book. I would love to win. Congratulations on 100 posts! Thanks for the giveaway. You always pick the prettiest color combinations. I love how your giveaways all match. The cotton reminds me of my home state of Texas. Sigh, I miss it. Happy 100th! I love you blog, keep up the great work!!! I would LoVe this! Love the blog. Hey Lady! I'd love to win this...I ran right over to Target after I saw that beautiful shower curtain...only to find out what you just said...that it is OUT OF STOCK! I was so sad...I actually want to use it for curtains in my Master Bedroom (I could make one shower curtain into two curtains...I know I could) I'll keep my fingers crossed! Oh, and I Hope the Avery transfer sheets work for you! Let me know. This is actually my very FIRST giveaway I've ever participated in. I just wanted to tell you I stumbled upon your blog a few months ago and I abolutely love it! I told all my friends and family about all your great ideas. Thanks for sharing all your projects and for being such an inspirational person! I have followed your blog for quite a while and I love how you make your home such a wonderful place using your creativity and frugal ideas! May the Lord continue to bless you! Oh what a fun giveaway! Count me in and thanks for all of the wonderful ideas and tips! Ohhhh...I know where I can put each item...love them all!!! Oh, fun! Count me in too, please! I would love the giveaway. Lovely! I enjoy reading your blog. Congrats on the 100th post. I love checking out your posts, you have such great ideas, helpful hints and good bargains. Thanks for keeping me motivated to create more fun things. Hi, I just recently found your blog and I adore it! I love looking at your inspirational photos and reading your great posts. Happy 100th and wishing you many more! Please count me in on the drawing too. I love that shower curtain!! Count me in! I am loving that shower curtain. It is so beautiful! I love your blog and have it on my feeds. Thanks for the great sale tips at Old Navy and Target. I totally took advantage of them. Here's to wishful thinking of winning your wonderful giveaway. Love your blog and love the giveaway items! I absolutely love your blog. I look forward to getting up each morning and reading while I'm shaking off the cobwebs in my head. You have really been an inspiration to me to do more creating and crafting. I currently don't have a blog but the more I read yours and others it's encouraging me to want to try it. Thank you so much for sharing your decorating tips, money saving tips and all that you share. It's wonderful, your truely and inspiration. How fun! I love your blog! Fun, fun stuff. Happy 100th! Awesome! I could use all three. May you have many, many more posts. Hey Melissa I have been following your blog for a while but have never commented on anything but the cotton I can not resist. Love it in the jar. actually Love all your Ideas and saving money at the same time AWWWW Love it. Anyway Happy 100th post that is Fabulous!!!! WOW! This is a fantastic giveaway! The shower curtain and the cotton would be perfect in my house! Please, please, please let it be me...not that I am begging or anything! Just finding your cool blog through the nester, Love your giveaways! Thanks for entering me. melissa love your blog and have forward it to friends and family. thanks for all of your GREAT tips. Congratulations on hitting 100! I really enjoy your blog! I just found your blog and I am in love with your thriftiness and ideas. Love the giveaway as well. Hey Melissa, I love your blog and read every post. Congrats on reaching 100 posts! Yeah! A follow button! I've had you on my blog list for several weeks now. Love the giveaway and my favorite thing? THE COTTON! LOL I have just the jar for it!!! Happy 100th! May we see many many more posts from you. I love your cute little blog and follow it regularly! Happy 100th Post!!! Love your blog and have been subscribing for awhile and now following! Happy 100 posts and here's to 100 more great ones! The cotton is so cool! Love it. Way to go on 100 posts! I don't know how you do it all? I need that shower curtain. I'll buy it from you. I went to Target to get one and of course they were all gone and they were out online. Sooo sad. This is my chance, except my odds aren't lookin' real good. If you have an extra you would want to sell me please email me. Thanks and Congratulations. I enjoy reading your blog. What an awsome giveaway! Love all the items! Please include me in your giveway. Happy 100th post! I'm one of the random stalkers who LOVES your blog. Keep up the amazing work! We all love you. I so hope I get lucky this time! OMGoodness...I want that shower curtain...dang all of it...please add me in. Count me in! Great prizes! Love the shower curtain! Happy 100th post. I have been following you since your old blog! What a great giveaway...count me in. I LOVE all of your ideas. I may just have to get that book one way or another! And I've had people scouring Targets in different parts of the country just trying to get that shower curtain! What an awesome giveaway! I hope I win - I've been trying so hard to find that shower curtain. I love your blog! The shower curtain is so beautiful! You are so resourceful, I am glad you live just down the street! I love your blog! I especially love the music...always calms me! Thank you! Oh, and I also L-O-V-E the shower curtian! I need that shower curtain! Pick me! Ohmagoodness!!! Ever since your first post about that lovely cotton, I have been on the hunt for some. You'd think that living in Mississippi, I'd be able to find some fairly easily...but NO. What an awesome giveaway. I need to start thinking and saving for my 100th post giveaway. Yours makes me want to step it up a bit! And that shower curtain...GORGEOUS. I would actually make pillows for my living room out of that. I have not been able to find just the right fabric, but I think that is it! I LOVE that shower curtain and I was totally wanting it when I saw it on your blog. I HOPE I WIN!!!! I absolutely love to visit your blog by the way. Oh... so fun fun fun!!! I would love a chance to win these beautiful items! You do have such a wonderful blog!! Thanks for entering my name :o) Have a beautiful day! What a great giveaway! Love your blog- thanks for all the inspirations. Laura Preece: I love all your fun ideas. 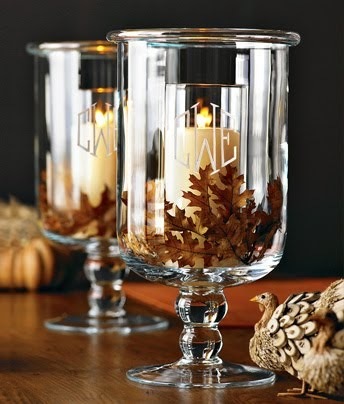 Thanks for posting cheap ways to decorate!! what a FABULOUS giveaway!!! I would love it!!! Okay, I am really hoping I win this because I have been drooling over the cotton ever since I saw it on your blog - I don't live anywhere near a place they grow cotton! I might also give the shower curtain to a friend who has been searching for it - so it would be a great win-win for both of us. I would love to participate! Please count me in. Congratulations on your 100th post. Congratulations on 100 - woo hoo! What a wonderful giveaway! I love that hand-picked cotton. And Pb is the best. I also love the brown and blue pattern in that fabric! I would love to be entered! Thanks!!! I enjoy your blog! Congrats on your 100th post! Put me in the drawing!! I LOVE your blog and have used several of your ideas. I love your blog and have been a lurker for a long time. I'd love to be entered to win your great giveaway! Congrats on your 100th post! Hi there--I LOVE your blog! I check you daily, and let me THANK YOU for giving the such great advice for the most creative, frugal ways to make a home beautiful! We are mid-remodel, and I can hardly wait to start decorating. Thanks again for the amazing tips! Love your blog! Please count me in! Yeah! I love all your decorating, organizing, money saving, and life tips! I'm so inspired by your projects. I'd love to win! Thanks for the giveaway! I would love to win!!! Especially since I carted the baby all the way to Target to catch the sale and... it was all cleaned out. boo. HOpefully, this will be a happy ending to my attempt at decorating on a dime! Oh wow!! I love it all! I stalk your blog! Love it! Michelle Pieracini referred me. Hope I win! I am crossing my fingers so tightly that I win your giveaway! I feel so cool that I knew you before you were so famous :) This giveaway is great...thanks for giving us housewives/moms something to look forward to! I am in the beginning stages of redoing my master bedroom and that shower curtain would look so good in my master bath!! I need it! Congratulations on your 100th blog!Found your blog on Cherry's Jubilee and love it!! 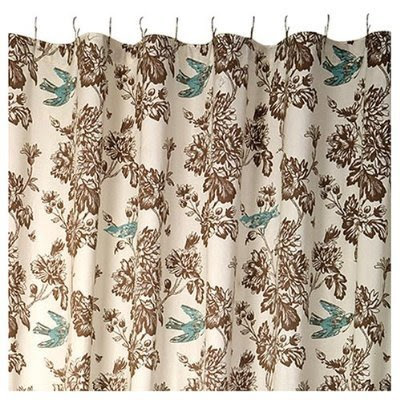 toile bird shower curtain. I have been eyeing this one for my bath. Oh I love a good giveaway! Congrats on your 100th post! Love your blog! Oh my gravy, I really want that cotton!!!!!!! I was just looking at an empty apothecary jar on my mantle and thinking I need cotton to put in it and where would I get it! Count me in, please! I found from the Nester's sight and love love your ideas & tips! Ladies like yourself are an inspiration to other ladies like myself to be creative and just try things out. There is never a wrong way (well ok maybe there can be) but we can try things out different ways to discover what works! That goes from decorating to parenting! ;) Again "Thanks" and congrats on your "100th" post! Cheers! Melissa, Congrats on your 100th post. Wow, you have quite a crwod following you. Congrats on the successful blog. You have wonderful ideas. Plus, Congrats on that cute new baby. Jamie B.
oooohhhh I hope I win! Pick me- Pick me! oh my word!! look at all the comments!!! my fave part in the swap is the cotton. i would love, love, love to have it!! You are awesome and I love,love, love your blog, I'm a cotton girl so count me in for the drawing. 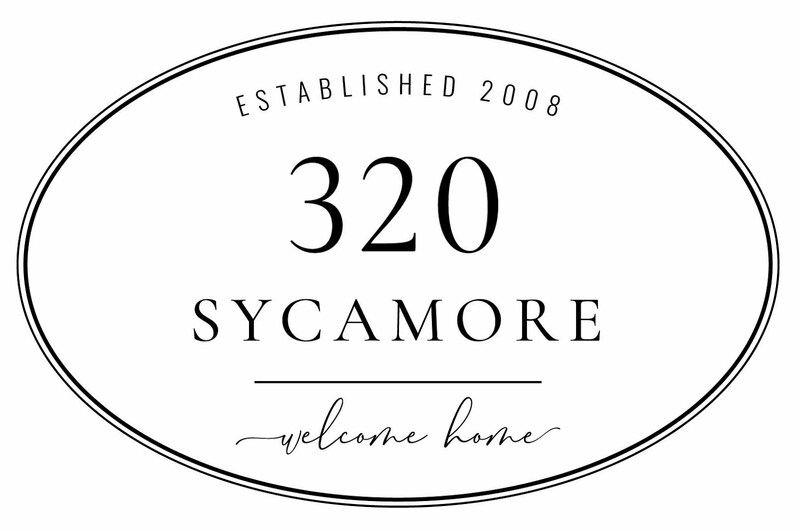 I love your blog, your house looks great! Are you serious, the shower curtain is sold out everywhere? I soooo want that! Congrats!! I recently found your blog. Love your style and your family room looks a lot like mine. 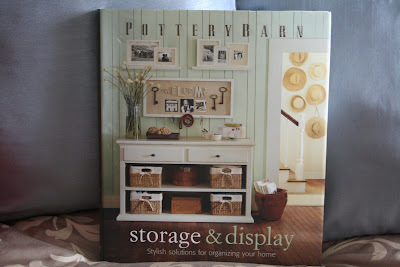 Love the pottery barn book. How fun! Congrats on 100 posts! I really do love that shower curtain fabric. So pretty. By the way, you totally inspired me a few days ago...while at a thrift store, I saw a pedestal thing like one you had bought and placed glass on top of. I would have passed right by that pedestal if I hadn't seen it on your blog. So thanks! I posted pictures of my take on the idea. I love to visit your blog and see all your creative new ideas. I like the whole idea of making friends based on sharing tips and interests and I feel blessed to "peek" into your fun life. I would love to win your 100th post prizes! Thanks for sharing your creativity! Oh my gosh! After your post about the shower curtain a couple of days ago, I RACED to Target to see if I could find the shower curtain and it was gone... so I had to call a friend 350 miles away to see if she could go find it... she couldn't. (Oh and let's not forget that I looked online and found it but it was sold out!) And now you're doing a give-a-way with it! Cool! Please count me in! I love your blog. Thanks for all the great ideas!! Love the cotton! Melissa~ I Love your Blog! Thank you for sharing your ideas I think all of your items are lovely. Melissa- Congrats!!! I love your blog, your advice and tips. Here's to hoping you have many more posts ahead! Count me in for this one! I grew up in Texas and would love some of the cotton. The whole giveaway is great! I enjoy your blog. Wow Melissa! This is a great giveaway! I want that shower curtain!!!!! I looked for it online after your first post. I think Target should give you some sort of commission for putting it on your blog and increasing their sales!! I'm lovin' your blog! And I don't want to rub it in, but I have that shower curtain and I used it as a window treatment. Love it! But, a girl could always use more, am I right? Just found your blog - WOW!!! You're so creative!!!! You've inspired me to hit the craft store and the dollar store today to see what I can find to pretty up! I just moved my "kid-friendly" bathroom upstairs and now I have an empty downstairs bath that will become a guest bath. Girl, you do not know how much I LOVE BIRDS, BROWN AND AQUA. THEY ARE THREE OF MY FAVORITE THINGS. And that cotton? OH, that would be FABULOUS in those little glass apothecary jars. MMMMM! I can just see it now! If I won this giveaway, you would be doing all the decorating work for me! Oh Random Generator Genie, PLEASE PICK ME!!!!!! ps- the new buttons are fantastic! Aren't they fun to have? Thank you for the chance to win an amazing giveaway. Your blog is my new favorite! I love all of your tips and great ideas! gorgeous! if I win it, I am re-doing my bathroom! I absolutely love the cotton! It is such a natural beautiful thing! Thank you for the chance to win! Your giveaway stuff is adorable! I hope I win! I saw your comment on Joy's site about her reader Katie looking for a tutorial to paint wood signs...thanks for bookmarking me. I was wondering if you'd tried it yet and what the results are? I am just about to redo a bathroom! Love your blog! CONGRATULATIONS! Love, love, love your blog--it is my daily must-read. Thank you for all of the inspiration! I love these, and would make great use of them. HECK YEAH!!! Sign me up. I have always regretted not buying that shower curtain!!! How fun!! What a great giveaway! Happy 100th Post! Love your giveaway! Hi, just found you and you have a beautiful blog...count me in! Great giveaway! The cotton is a great idea! I've never seen *just picked* cotton. Woo-Hoo! I love contests about as much as I love to read your blog! I love your blog! I check in every day and always find something to smile about! Oh and I hope I win! I LOVE the shower curtain!!! I need to redo my guest bath and that would be perfect! count me in what a great giveaway! I love your blog you always have the cutest ideas and are very creative!! How fun to do a giveaway on youe 100th post! I'm relatively new to your blog, but I love it so far. It is so much fun! I drove 60 miles to the nearest Target to copy your shoe purchase, but, sadly, they only had sizes 10 and 11.
i love reading your blog... and all the great & inspiring DIY projects! Thanks so much! I love that shower curtain. I saw your post about target finds and had to run to my target to see what we had. My only deal was a pair of $2.50 shoes for my babe. Oh-and a box of lego puzzle valentines for my older boy for $0.25 heehee. Would love to win and way to go on the 100th post! Wow, this is such a great giveaway! Count me in! hey, i never win any of these cool giveaways, maybe this will be my lucky day!!! you have got some great stuff. Congrats on your 100th post! What a great giveaway!! I would love to win. Hello my friend - I NEED that shower curtain for my new bathroom :-)!!! Also, LOVE the cotton and the book. You are so amazing and inspirational! Awesome blog! We love it here - keep 'um coming! Congrats on the 100th post. Great Blog and wonderful giveaway! I really need help with storage! Congratulations on your 100th post! I love your blog....Thanks for the great ideas.